LA Times 2nd Annual Food Bowl has begun. Guys, this is not a drill. It is really here! 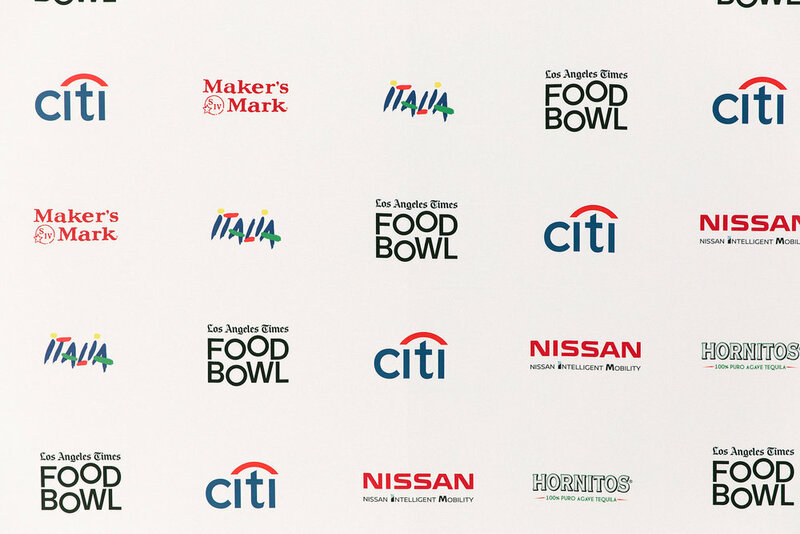 On April 28th, Los Angeles Times Food Bowl kicked off its month-long celebration of food with a star-studded celebration in downtown Los Angeles. 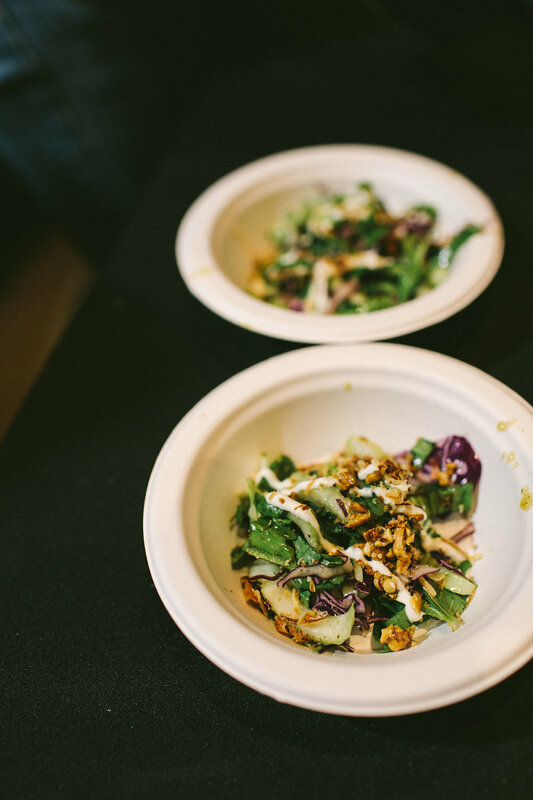 The night begins with an all-star lineup of selected chefs serving Things in a Bowl. Guests were greeted warmly with bowls of delicious food and hospitality from chef Steve Samson; Shibumi, the downtown L.A. izakaya; Night + Market, Kris Yenbamroong's Thai restaurant; Chengdu Taste, which features spicy, complex Sichuan cuisine; fried chicken from Honey's Kettle; Antonia Lofaso from Scopa Italian Roots. Some of the big winners that night are Carlos Salgado, who received the Restaurant of the Year award for his restaurant, Taco Maria. Susan Feniger and Mary Sue Milliken received the Gold award for their restaurant, Border Grill. See more of the photos from that night below. For more information, please visit lafoodbowl.com and connect on Facebook, Twitter and Instagram @ LAfoodbowl (#LAfoodbowl #31DaysOfFood). Located in the heart of downtown East Lansing and across from Michigan State University campus. This newly opened ramen joint is becoming the hottest joint in town. I recently had the privilege of dining at this new ramen restaurant with a few of my friends. All of us are fans of Japanese ramen and we've been to Japan, Chicago, and New York City eating ramen so expectation was high. Space was small and cozy. The decor was appealing to the eyes and feels homey. I felt "at home". The service was great - we were served quickly and the guys on the other side of the bar were fun to watch! I love that the kitchen area is open for the customers to see behind the scene of how their food is being prepare. Compared to several places I've had in Chicago and New York, each broths was great in flavor The presentations of the bowls were beautiful. I love to eat with my eyes first, so I appreciate the effort in that. The noodles was cooked well. Pork was delicious, I'd would come back just to eat a bowl of the pork only. Overall, I recommend eating at the restaurant for some good ramen. I can tell the chefs did their research and try to make it authentic as possible. Of course, there are room for improvement, but I believe they will continue to improve on their skills. Last week, I met up with my good friend, Julia Lang, founder of JML Journal. She is a fashion influcencer from New York City. We met only just last year and It is so crazy how quickly we clicked through our passion for fashion, writing, and food. I remember the day that I first met her. It was through our mutual friend, Toni Tran. He had just came to New York City for business and was staying at my apartment for the time being. Toni had planned to meet up with Julia for a shoot and he invited me along to meet her. When I first saw, she has this aura around her. She was beautiful and after just talking to her I can see how driven and independent she is. Just like me, She moved to New York City from Germany to jump-start her career in fashion. So fast forward to the present, after multiple tries we finally able to meet up for brunch because of our busy schedule it is hard for us to sit down and just have a full on heart to heart conversation. Julia asked me to pick the restaurant and I choose this little restaurant in Harlem called "Flat Top". The reason I choose this place is because I remember the first time I went here last summer with my friends (thanks to yelp for suggesting this place for us) and they have one of the best smoked salmon benedict and ginger beer. I haven't been back there until now. I ordered the Smoked Salmon Benedict (Poached Eggs, Hollandaise, Spinach, Salmon Roe & Dill, On Home Made Focaccia) and the New Orleans Iced Coffee w/ Chicory while Julia got the New England Lobster Roll (Cold Lobster Salad , Chives On A Butter Toasted Potato Bun, Served with ShoeString Fries ) and Iced Americano. My egg benedict was as good as the first time I had it there. The eggs were perfectly cooked and runny. I loved that they used focaccia bread for their eggs benedict and the hollandaise sauce was on point. The New Orleans Iced Coffee was refreshing and sweet. It was Julia first time trying a lobster roll and she didn't like the texture of the lobster. She said it was a bit chewy but still good nonetheless. Flat Top is slowly becoming one of my favorites restaurant to go for brunch. The restaurant has great atmosphere. It is warm, rustic, and homey and with all the mason jars and daisies you'd think we were in Brooklyn and not Harlem! The restaurant is small, and the tables are very close together. If you are sitting along the tables with bench seating, you will have to have the table scooted out so you can be seated on the bench side. If you are ever in Harlem or go to Colombia University, make sure you give this restaurant a try. I promise you will be back again soon.